Levulan Photodynamic Therapy (PDT) is the most recent advance in photo- rejuvenation. Levulan Photodynamic skin rejuvenation involves the application of Levulan which is then activated with Fotofacial IPL or ELOS Blue Light Acne Laser. This results in significant improvement in moderate to severe cystic acne and any precancerous conditions such as AKs, actinically damaged skin and sun damaged skin. Additionally it improves wrinkles, pore size, skin texture, pigmentation, rosacea, sebaceous hyperplasia, and potentially prevents the development of skin cancer. The patient on this page had PDT for sun damage and brown spots. Here’s what she had to say: “My experience was excellent- it's a beautiful environment, everything was very well explained, all personnel were attentive and care to check in and make sure that I was comfortable with the procedure. 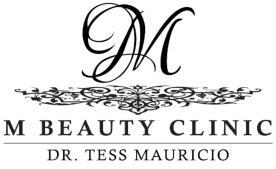 This is a first class clinic!” -Terry PDT is also great for acne! PDT has shown to have great cosmetic benefit. The sun causes damage called photo- aging and the PDT reverses many of these issues. Over time, skin ages and loses its youthful appearance. Wrinkles appear around the eyes, fine lines bloom around the lips, and age spots surface on the hands. While some of these factors are natural and unavoidable, many of the visible signs of aging can be addressed. Levulan Photodynamic Therapy (PDT) is the most recent advance in photo-rejuvenation. 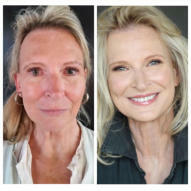 Levulan Photodynamic skin rejuvenation involves the application of Levulan which is then activated with Fotofacial IPL or ELOS Blue Light Acne Laser. This results in significant improvement in moderate to severe cystic acne and any precancerous conditions such as AKs, actinically damaged skin and sun damaged skin. Additionally it improves wrinkles, pore size, skin texture, pigmentation, rosacea, sebaceous hyperplasia, and potentially prevents the development of skin cancer. The patient on this page had PDT for sun damage and brown spots. Here’s what she had to say: “My experience was excellent- it's a beautiful environment, everything was very well explained, all personnel were attentive and care to check in and make sure that I was comfortable with the procedure. 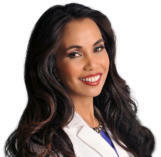 This is a first class clinic!” -Terry PDT is also great for acne! PDT has shown to have great cosmetic benefit. The sun causes damage called photo-aging and the PDT reverses many of these issues. Over time, skin ages and loses its youthful appearance. Wrinkles appear around the eyes, fine lines bloom around the lips, and age spots surface on the hands. While some of these factors are natural and unavoidable, many of the visible signs of aging can be addressed.